A return visit of the ever popular Stuart Burgess.
" Is Genesis 1 Literal History?" A wide ranging discussion to confirm the authenticity of a literal History of Genesis 1 covering Theistic evolution, Adam and Eve,The Origin of death, Starlight, The age of the Earth and the Character of God. This was an ideal time to bring along your sceptic friends and hear from a third party expert how science can support a Biblical interpretation of Origins. Moreover it drew to a logical conclusion for the need of the redeeming Grace of Jesus. This was a wonderful opportunity to encourage our Christian friends and to reach out to those who might be challenged to find out more about the Christian Faith and the trustworthiness of the Bible. "The search for Noah in Egypt." Gavin Cox is a new member to the ever growing team of writers and speakers at Creation Ministries International here in the UK/Europe office. Gavin's talk was a 'romp-through-the-ruins' and a 'tracing-through-the-texts' of ancient Egypt, revealing the clues regarding extra-Biblical evidence for the flood, Noah and his family. Through his research Gavin came to some startling conclusions, the textual evidence is clear that the Egyptians knew of the family of eight who survived the great flood. He led us piece by piece through the evidence he had uncovered confirming that Noah, his family and the flood where well known to the Egyptians. A fascinating evening of a well researched and presented subject that was much appreciated. Gavin also affirmed Creation Ministries International and it's work World Wide. Many thanks again to Steve Taylor for yet another insightful talk showing the absurdity of trying to combine naturalism and science. By discussing the ATP motor Steve gave an overwhelming example of design, and how the complex molecular construction and integration of this amazing machine into the cellular world could only have come about by the implementation of an exquisite designer! How can anyone think that things like the ATP motor ( and thousands of other examples) be self generating. As for Darwin's idea that it must be done in small sequential steps is just not a sustainable theory. Many items have to come together all at the same time or they would never be able to function. And then we are asked to believe that this all came about by chance random selection? All scientists should be challenged by this revelation but the most worrying of all are our fellow Christians who claim scientific credentials but continue to deny a Creator God as revealed to us in the Bible. They want us to believe that God used evolution but are unable to defend their thinking with any scientific evidence. Hopefully people like Steve will continue to challenge and encourage evolutionists to reassess their thinking and to come alongside those Christians that struggle with these issues. Summary: ATP synthase is one of the wonders of the molecular world. It is an enzyme, a molecular motor, an ion pump, and a molecular generator all bound together in one amazing nano-scale machine. It plays an indispensable role in our cells, providing the energy that powers our bodily processes. Is it really credible that such a system could have been formed by chance over millions of years? The evidence points strongly to Design and ATP synthase is a witness to the skill and ingenuity of the Designer. Material covered: The overwhelming evidence for design and the folly of atheism. Naturalism is shown to be unreasonable, unscientific and unhelpful. In contrast the Christian worldview is based on facts, evidence and history. This has led many great scientists, past and present to be active Christians. Highlight and go to click. DANNY FAULKNER Big Problems with the Big Bang. Dr. Danny Faulkner holds an MS in physics from Clemson University and an MA and PhD in astronomy from Indiana University. He taught at the University of South Carolina–Lancaster for over 26 years. 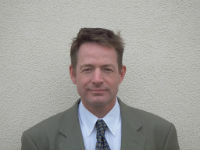 He serves as editor of the Creation Research Society Quarterly, and has published over 100 papers in various journals. He now works as a researcher, author, and speaker for Answers in Genesis. If you want to know more about Danny click on his highlighted name, above. Danny has also included a report on a recent Astronomy conference that he attended. The report was published on January 26, 2018 by Dr. Danny R. Faulkner . Simon Terry Slugs and snails! Can you please ask your snail man how did the snails survive the Flood, and how would they have gotten around the Whole World at snail’s pace afterward and formed the thousands of species in today’s world? Surely this shows that evolution and the continental drift is a better answer? The survival and spread of snails and their broader class the Gastopda is better appreciated when we understand the character of the Biblical kinds given in the book of Genesis. Only when we start with this Biblical basis can we better understand the success of a specific species and geographic isolation of others. Simon's talk to us then began to unravel the amazing truth about slugs and snails and their role in confirming Creation, and our need for a loving God and His saving Grace through His Son Jesus Christ. Please read 1 Peter 3 : 15. How to defend our faith. £20 per adult & £15 per young person in education. We have arranged for a coach party of up to 60 persons to travel to the British Museum. The tour will be based on the book “Through the British Museum with the Bible”, showing the reliability of the Bible with the history and artifacts from the empires which impacted on God’s people Israel. The conducted tour at the British Museum will start at 10-45 am and finish at 3.45pm, with a lunch break between 1.00pm and 1.45pm. Two groups of 30 (max) persons will be hosted. Please contact melandconnie@btinternet.com if you are interested, and we will email you a booking form and full details. ROD WALSH from CMI Australia - talking on, Noahs Ark and the flood. Our chance to welcome Rod and Nancy Walsh from CMI Australia to our Rugby Creation Science Group meeting. This was a real privilege as he is always in such demand whenever he is in the UK. If only the churches in general understood the importance of Rod's talk they should have been queing up and down the street to get in! Sadly to say that this was not the case, but we were really pleased with the turnout so thank you all very much. This key event, which tackled some of the basic misunderstandings in the Creation/evolution debate and opened the door to a deeper and more meaningful understanding of the Bible, and confirm all that God has done for us. One of Rod's 6 foot models of Noah's Ark was on display. Rod Walsh, aka ‘the Ark Man’. If you had ever been challenged to explain Noah’s Ark, here was your chance to find out more with our long-time Noah’s Ark modeller and expert. Rod proved to be an excellent communicator and answered many of your questions about Noah’s Ark and the Flood. Click the link to find out about Rod and Nancy and their amazing ministry. May 19th 2018 Today is Our Trip to the British Museum! PAUL GARNER MSc FGS His talk will be, "Coal by catastrophe". Last night Paul gave us an in depth description of what coal is and how it was formed. He also effectively dismissed the laying down over millions of years of the sedimentary rocks. We were also invited to look at some of the current thinking on mat formations, huge floating beds of vegetation, to explain some of the anomalies found in coal deposits. Either way it is clear that under the right circumstances coal can be formed in a very short period of time, and helps to expel the evolutionary myths of needing millions of years. This talk covered a vast area of investigation, using robust scientific methods, to give us the confidence to believe in the historical record of the Bible and the World Wide Flood. 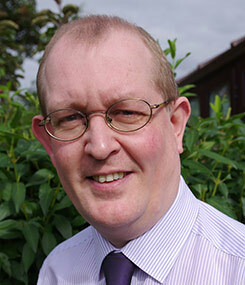 Paul Garner MSc, FGS is a full-time Researcher and Lecturer for Biblical Creation Trust. He has an MSc in Geoscience from University College London, where he specialised in palaeobiology. He is a Fellow of the Geological Society of London and a member of several other scientific societies. His first book, The New Creationism: Building Scientific Theories on a Biblical Foundation, was published by Evangelical Press in 2009.
biblicalcreationtrust.org Click this link to find out more about Paul. DR SYLVIA BAKER BSc MSc PhD evolution, Creation and education. Our thanks to Sylvia for revealing her life story and her personal challenge in the Creation evolution debate, and how it set a course for her to follow for the rest of her career. This was followed by a "brief" look at the construction of the eye and the problems of irreducible complexity. It just could not evolve in small incremental steps, a piece at a time, as Darwin had proposed, it had to be all or nothing, and this would require a designer. Unfortunately time did not allow Sylvia to expand on her many years of teaching both Creation and evolution in schools and the results of all that. We look forward to inviting her back at some time to bring us up to date on this very important issue. Dr. Sylvia Baker has a BSc in Biology from Sussex University and an MSc in Radiation Biology from London University. She taught science for a total of 27 years, most of which was in the setting of one of the new independent Christian schools, where she had a free hand to teach both evolution and creationism. In 2010 she was awarded a PhD by Warwick University for her research into the outcomes obtained when pupils are educated in this kind of setting. Author of Bone of Contention - is evolution true? For more information about Sylvia click here. Stuarts skill in teaching and designing a whole range of engineering products is legendary, from rockets and cars to miniaturised flying machines. One of his most recent works was done on the drive chain for the award winning Olympic bikes. We were pleased to hear about that and more! He spoke about the work that is being being carried out by mimicking nature. Stuart brought us up to speed on some of the latest work being done in this field and how all of us should be giving thanks to God for his incredible creative work. He explained that, as wonderful as some of our engineering exploits are they will never exceed the work done by the Master Designer Himself. A very positive evening that leaves you wondering how we can we continue to be deceived by evolutionary thinking. "The Evidence for the Bible"
Brian Edwards gave us an illustrated talk on archaeology from a biblical perspective. We learnt how archaeological evidence supports the biblical accounts, first from global flood legends around the world through Egyptian artifacts consistent with Israelites in Egypt from Joseph through Moses. Then we were able to see archaeology from the great empires that interacted with God's messianic nation Israel: neo-Babylonia, Persia, Greece and Rome. This provided a background for the time of Christ and His Apostles. Brian Edwards is the author of twenty books, including one on the accuracy and authority of the Bible, historical biographies on William Tyndale and John Newton. He edits the Day One Publications Travel guide series and preaches and lectures across the UK and abroad. Evidence for the Bible is published by Day One Publications and co-authored by Brian Edwards and Clive Anderson. From the museums and dig sites of the world items that authenticate or illustrate the biblical history are described and illustrated. No knowledge of archaeology is required and the text is both straightforward and fully referenced. There are easily understood timelines and longer article on particular subjects and an extended piece on the often false claims of archaeology. With 250 pages and over 200 colour pictures it is beautifully designed in hardback as a coffee-table book. It is already in its third printing and has proved immensely popular. At these presentations the £25 book is sold for just £12.50! Prof. John D. Currid, Reformed Theological Seminary, Charlotte, USA. The Very Revd. James Atwell, Dean of Winchester, UK. We were glad that you were able to come and listen to Mike as he explained the phenomenon of echolocation of bats. This talk was recommended by Prof. Andy McIntosh, our previous speaker, and they don't come much better than that! How wonderful to spend an evening exploring the wonders of God's design that defies any chance of random selection by evolutionary processes! Mike Worsell spent the early years of his career in the research of the fundamental forces and particles of physics, including carrying out experiments at the European Centre for Nuclear Research, CERN, Geneva. He then spent 30 years in industry on the design of sonar systems for the UK Royal Navy amongst others. He is interested by the highly sophisticated use by bats of echolocation (sonar) to safely navigate in pitch darkness and successfully forage for food - evidence for evolution or design? Andy McIntosh Returns To Rugby! This should have been a banner headline in all the local papers and certainly in all of our Christian newsletters and on our Church notice boards around the area. Hmmm, chance would be a fine thing! However we don’t believe in chance, only in a Creator God who designed all that we can see. We did ask you to check your church notice boards and see if a copy of the poster that we have emailed you is being displayed. We physically deliver posters to about 35 churches in the Rugby area but we know that many do not display our literature or don't even give Creationist’s a second thought. In fact it is true to say that some actively oppose Biblical Creation, preferring instead to promote a Theistic evolutionist view. This amazing man was on a worldwide mission to promote the truth of God’s Word. So far this year he had been to USA (Feb), South Africa (March), New Zealand (March), Australia (Mar/April), USA again (5/6 May). With a full schedule to fill for the rest of the year why not follow Andy on his website and offer to pray for success in his endeavours. Andy was gracious and compelling, and demanded to be heard with his scientific background and his Gospel message. The subject matter, The Wonder of Hearing, revealed the truth of our Creator’s genius in design and he linked that to the need of the saving grace of Jesus. In his busy and demanding schedule we are grateful that Andy still finds time to come and share with us all at the Rugby Creation Science Group. Tongue in cheek we did suggest that 'bring a friend 'should be compulsory! ; but please know that ALL are welcome, individuals or rent-a-crowd, supporters or sceptics! We trust that you enjoyed the free homemade cake, and refreshments that followed the talk. Florin Mocanu - Creation Ministries International UK / Europe. "Flood warning: Rocks Fossils and Scripture"
We were pleased to welcome Florin who is part of the new team of accredited speakers that are joining Creation Ministries International. At the time of speaking with us Florin was currently studying for a University science degree, taking courses in the natural sciences ( Darwinian evolution, geology, cell biology etc. ) and also computer science. Florin reminded us that there is no such thing as an unbiased opinion. We all work within a certain framework. For Christians it is the Word of God, but for the atheist scientist, it is the believe that there is no God and every thing we see appeared through natural causes only. World views influence how we view 'evidence'. Christians would be unwise to accept the pronouncements of scientists as if they were some infallible oracles. 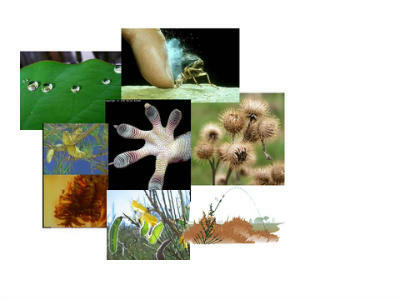 The talk gave us facts - things we can observe in nature - and we could then see which framework best fits with our thinking. The talk was especially helpful to those Christians who struggle with the naturalist-atheist worldview and trying to make it fit with a straightforward reading of the Bible. Questions and answers after the talk were very interesting! Newly appointed head of Answers In Genesis/UK. "Adam: The First and the Last"
Why the supernatural creation of Adam, his fall from Grace and our link to him are necessary to understanding the Last Adam - Jesus Christ. This talk is likely to be more theological than scientific but Simon will try to give enough of each to satisfy both camps! This will be an excellent talk to reaffirm the need to combating Darwinian evolution and it's corrosive effect on the truth of God's word. Do take this opportunity to meet Simon as he takes on the role of heading up Answers in Genesis here in the UK. Why not bring along the one person you might know who is a little sceptical of the creation/evolution debate and let them experience a night out with R C S Group. Extra tempters are free refreshments and a wide ranging bookstall for them peruse! Oh, and off course, we will be celebrating our fifth anniversary as well. It will be exactly five years ago to the day when we first opened with Professor Stuart Burgess! Praise the Lord for His sustaining Grace. "Carbon 14 dating of Dinosaur Bones & other stuff!" Steve gave us a great talk and included the latest findings on carbon dating in Dinosaur bones (they just cannot be 63 million years old! )and all the latest research that Steve is working on. John Perkins is a retired teacher who still regularly lectures on history and theology. * The existence of Atheism. * The nature of thought and logic. * The existence of truth and love. It was a stimulating night of thoughts and discussions! Thanks John for a thoughtful and challenging evening. The Age 0f the Earth, and why it matters. This was a new talk from Dominic and the Rugby group where the first to hear it! Thanks Dominic for a very enlightening talk and we look forward to hearing you present this again at the forthcoming European Conference in London. The Wonders of our Solar System. I am a specialist in the design of very high-speed digital electronics for use in microwave and radar systems. I am interested in all aspects of science especially in regards to creation. I became a Christian about 31 years ago and for the last 6 years have sought to strengthen Christians in their confidence for Biblical Creation against the onslaught of Evolutionary thinking. I have also taught Geology up to GSCE level (though this probably doesn't really matter a great deal given that this presentation is about our Solar System). I have attached a few images (hopefully not too many for your e-mail). If you would like more, a good place to look is the NASA website since they are happy for the use of their images for educational purposes; though they ask that if possible a small credit is given to them as the source of the images. Thanks Nick for an informative evening! Chemistry teacher at Blue Coat School, Liverpool (recently voted top State Secondary school of 2015 by the Sunday Times!) from 1973-2011 - Head of Dept. 1978 onwards. Retired from full-time teaching in July 2011 but still do weekly voluntary A-level classes. Born again: Feb. 18th 1986 - praise be to the Lord Jesus, our Saviour and Creator! Member of Truth In Science - See our Links page. An organisation seeking to promote Creation/ID in schools. Title of talk: Chemistry - Evolution's Enemy but the Bible's Friend. Synopsis: I will try to demonstrate from Chemistry (not too technical!) that abiogenesis (life from non-living matter eg in a primeval "soup") is chemically absurd, and that Louis Pasteur was correct: life requires a Life-Giver! I will also refer to the cell's irreducible complexity, and to the impossibility of merely naturalistic processes adding information to the gene pool. I will also show how Radiometric dating supports Young Earth Creationism (thousands not billions!). See how Dawkins draws the debate to a close when he realises that his arguments are being skilfully countered by Nick! Philip Bell CEO for Creation Ministries International-UK and Europe. The Credibility of Genesis, Does it stand up to Scientific Scrutiny? What better start to the New Year than to listen to Philip Bell as he encouraged us to take a straight forward reading of the book of Genesis and reinforced his arguments with good solid science from a Biblical Creationists perspective. Philip travels all over Europe on an ever increasing number of speaking engagements and some how still manages to run the European office for CMI, writes numerous articles for the World Wide Creation Magazine and other CMI literature plus working on a book at the same time! We were pleased that Philip took the opportunity tell us about some of the exciting growth of CMI here in the UK and Europe as well as some new speakers who have come on board! It was an encouraging evening for all of us and an ideal talk for any of our sceptical friends to have a listen. Philip showed his professionalism by the skill of his presentation which was both challenging and gracious. Link on to Philips address Philip Bell - creation.com for a short video clip! Dr Stephen Hayes is a medical Doctor and specialist in skin cancer. He travels around the country teaching GP's how to spot skin cancer in it's early stages. He gave us an illustrated talk, The Amazing Eye: Design or Chance, and a wonderful insight into the workings of our eyes. Stephen shared his passion for presenting the case for Creation by revealing the complexity of design in the eye and how it works, and that to accept that all this came about via Darwinian evolution is untenable. Whilst speaking Stephen skillfully and humorously peppered his talk with personal anecdotes and relevant stories. He clearly showed that it isn't possible to defend your faith from an evolutionary perspective or to uphold the truth of the Bible. This was a welcome return to a popular speaker with a unique and personal style and ready wit. Our thanks to Stephen's perseverance having been delayed on the train by something like 21/2 hours and missing out on his pre talk dinner, Stephen insisted in getting on with the talk and still staying on afterwards for Q and A and chatting to people on a one to one basis. Blessings to you Stephen! Check out Stephens websites to learn more! 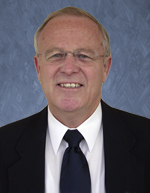 Dr Robert Carter, Ph.D. Marine Biology,B.S. Applied Biology, Scientist and speaker for CMI-USA, is currently researching human genetics and other issues related to biblical creation. He co-produced the highly acclaimed documentary, Evolution's Achilles' Heels and contributed to the accompanying book released in 2014. We were especially pleased to have been able to secure one of these highly sort after dates from his UK Tour. This was a unique opportunity to hear Rob Carter and If you want to know more about him then why not go to the CMI homepage www.creation.com and click on the bar that runs across the screen proclaiming Evolution's Achilles' Heels. # How long did it last? # Was there more than one? Sorry to say that this event has had to be Postponed. We had the speakers and the dates lined up but unfortunately the proposed venue is not available to us at this time. We will try to re-vamp for the Autumn. We will keep you informed. His talk was based around carbon 14 dating and Dinosaur dates. *In 1993 - Soft tissue and biomolecules found in Dinosaur bones. *How can fragile chemicals survive for 65 million years? *Evidence that man and dinosaurs lived together? *Current research - remarkable findings! *Radiocarbon dating of dinosaur fossils. As with all of our speakers our ultimate aim is to confirm the truth of God's word as revealed to us in the Bible. Steve used the fascinating topic of Dinosaurs to show the myth of millions of years that evolutionists claim as fact. Starting with a video clip showing pictures of Dinosaurs he demonstrated one example of how the media bombards us with the idea of millions of years. His challenge was, is this really true? If Dinosaurs died out 65 million years ago how come scientists have now discovered soft tissue and skin on their bones after such a long time? Carbon 14 (which has a half life of 5730 years) can only be detected up to fifty or a hundred thousand years and yet is still found in Dinosaur remains supposedly 65m years old! Then there are the numerous accounts of the Genesis flood just a few thousand years ago, which would account for the sedimentary rock layers all over the Earth in which all the Dinosaur fossils are found, and then he spoke about the sightings of Dinosaurs (saved by the ark but now extinct) all these accounts come to us through stories, paintings, pottery, carvings, engravings and history books. Steve gave a comprehensive but gracious dismantling of the weakness of evolutionary thinking with lots more good solid scientific evidence than I can put in this short summary, and a positive affirmation to trust a simple and straight forward reading of God's word. Thanks Steve for a wonderful and encouraging evening. Incidentally did you pick up the claim in one of the video clips that one scientist had lost his job because he spoke out against evolutionary thinking? It would seem that if you don't toe the line you could get sacked, or at the very least be sidelined when it comes to promotion! Review Ben Stein's DVD from CMI about this very problem! 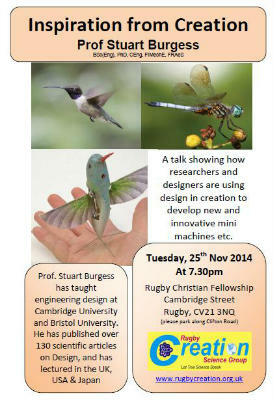 The talk was entitled "Inspiration from Creation"
We were pleased to welcome Stuart to our November meeting. At the recent Mega Conference organised by Answers in Genesis Stuart received a standing ovation. We trust that you were enthralled by his presentation and that you were able to bring a friend along to hear this courageous man proclaim the truth of God's word. Inspired by the design found in Creation, scientists and engineers are able to develop all sorts of things by mimicking what they see around them. Stuart was able to reveal some leading edge technology of some of the latest developments in engineering and explain that the design they see means there has to be a designer! An enthusiastic audience gave a rapturous round of applause to Prof. Andy McIntosh at the recent AIG Mega Conference in Birmingham. Now it was our opportunity to hear Andy give the same address at the Rugby Creation Science Group meeting. We were so pleased that you could come along and join in with us for what was a very stimulating evening. "Ten Excellent Arguments from Science that Confirm a Biblical World View". This was a great evening showing how science confirms the truth of the Bible. Evolutionary philosophy has, for far to long, been making scientific claims that it cannot substantiate. Richard exposed the flaws in Darwinian evolutionary thinking by demonstrating established scientific techniques that confirm a Biblical World View and in such a way that lay people were able to understand. Dinosaurs - The Real History. Simon Terry joined AiG-UK in 2007 after being a missionary for six years with London City Mission. CREATED - Genesis, creation week. AFFECTED - Earth groans after fall. PROTECTED - Dinosaurs on the Ark? DETRACTED - Problems after the flood. COLLECTED - Fossils in recent times. We know that Dinosaurs are a BIG favourite with so many people but we thank you for your support both physically and financially, it is very encouraging for us and for the speakers. Simon confirmed the Biblical account, that all animals were Created on day six, including Dinosaurs. (There was no 'special age of the Dinosaurs' some millions of years before) Come the Flood a selection of Dino's went on to Noah's Ark but when they came off the Ark they didn't not survive. Simon gave us a lot of evidence to show that the Dinosaurs, along with all the other animals that weren't on the Ark died in the flood and were fossilised as a result. He told us that there is a lot of evidence to support these claims among which was the discovery of carbon 14 in T Rex bones supposedly 68 million years old! Also soft tissue and blood cells, and in the case of a Duck-billed Dino even soft skin tissue! These fossilised creatures can only be a few thousand years old and fit perfectly with the Bible's account and Genealogy. He also went on to tell us of sightings and records in recent history of some of those Dino's that did come off the Ark. See recommended readings in RESOURCES. He spoke about the problems of young people taking up the sciences but not being taught the history of science. How modern science was founded by Christians and how Darwin's theories, which were influenced by Charles Lyell and his geological 'long ages' and were vigorously promoted by Thomas Huxley to promote evolution, i.e. one species changing to another, at the expense of a Creator God. Lyell was an atheist who didn't want 'Moses' to get a foot in the door when it came to modern science, so he convinced leading thinkers and religious leaders of the time that the Bible was out of date and had nothing to say when it came to science. This was an age of 'enlightenment' when man could show that God's word was in error and couldn't be trusted. So there was a parting of the ways where science was now promoting evolution and took a dominant view of how we should view the world and in so doing confining God's word to the pulpit. Simon also reminded us of the need for the church to stop compromising and appealed to leaders to stand up and be counted. It is not a side issue but fundamental to our faith and a way to open the doors to millions of people who think that the Bible is irrelevant to them because science, apparently, has all the 'real' answers and there is no place for God in their lives. Evolution has given them a reason not to listen or seek the Saving Grace of Jesus. Millions have died, and millions more will continue to die because of Darwinian evolution so we need to shake up our churches and to fight this malaise, this apathy of fear and peer pressure and we can do that by using the best of modern science to help convince people of the truth of God's Word as revealed to us in the Bible. As Christians we all know that if people seek they will find, but evolution tells them there is no need to seek. There is much work to be done my friends and we need the encouragement of the many speakers, writers and scientists who do believe in the Creator God of the Bible and this, in turn, will encourage us to speak out whenever we have the opportunity. Science and Christianity - Friends or Foes? Stephen Taylor (BSc Eng (London), MEng, PhD (Liverpool), ACGI, FIEE, FInstP, CEng) is a professor at the University of Liverpool in the School of Electrical Engineering, Electronics and Computer Science, and is Chairman of the University Staff Christian Fellowship. He teaches undergraduate and postgraduate courses in electromagnetics, nanotechnology, and design. He is head of the mass spectrometry research group at the University, which in the 1990s was responsible for the invention and development of the world’s smallest mass spectrometer. He is director of a university spin-out company seeking to commercialize mass spectrometry technology. After his previous talk on The Age of the Earth we welcomed this return visit by Steve Taylor to discuss the issues of Science and Christianity - Friends or Foes? Again this is a topic that can cause people to get a little 'hot under the collar' but Steve demonstrated that a right minded approach can lead to some very positive results. At first glance it would seem that here are two opposing world views but Steve showed that this was not necessarily the case. His talk highlight the issues and his conclusions brought a greater understanding to this very important subject. This was a gentle challenge to sceptics from both camps and whether you are a Christian, or not, or a Scientist, or not, ( or working at being both!) we trust that all of us will have benefited from this discussion and emerged with a clearer understanding of the various roles at play. There was a time for questions and answers afterwards. "Reliability of the Old Testament - Is Genesis Historically Set in Stone?" John is a historian and he did a presentation on the Old Testament. He is also the Head of History at Campion School and Language College, Bugbrooke, Northamptonshire, and has been teaching for almost 36 years. He is a very influential teacher and an expert on Calvinism and John also holds a distinction level Master's Degree in History. 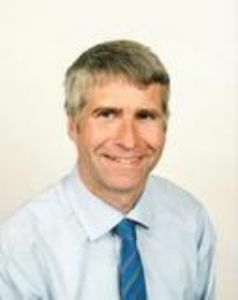 In the year 2000 John received a teaching award for Northamptonshire and was subsequently listed in the top forty "Teachers of the Millennium" in England by "The Guardian". He asked the question, should we accept the Old Testament as real History, and especially the first eleven chapters of Genesis? We are often told that the early Genesis is mythological or allegorical or just poetic, but is this right? If this is so then when or where does the reality of Genesis truly begin? Or should we just dismiss the whole of Genesis as a nice story to explain the beginnings? Were Adam and Eve, and Noah and his family real people living out real events? What about the tower of Babel? How about Abraham and Joseph? We listened to a fascinating insight to the Genesis account and the reliability of the Old Testament as a whole. There was good evidence to support the histrocity of the Old Testament and how it inpacts on our understanding of the truth of God's word? We were shown what we can learn from the other people groups of that time such as the Egyptians, Sumarians, Medes, Hitties, Assyrians etc, etc! CHECK OUT resources for suitable reference books to John's talk! Did you miss the "Ark Man" Rod Walsh from Australia, on tour in Wales and Ireland! Tuesday 17th to Friday 19th September 2013 in Wales and Sunday 22nd to Sunday 29th September 2013 in the Republic and Northern Ireland. Dominic Statham - CMI B.Sc., D.I.S., M.I.E.T., C.Eng. "DIFFERENT 'RACES' OR ONE HUMAN FAMILY?" People often ask about the different 'Races' and where do they come from? Evolutionists use the 'races' argument to proclaim one group of humans to be superior to another and in so doing promote their theory of evolution. i.e. that we are all gradually evolving to a higher species. The consequences of this type of thinking can can lead to an inbalance in the relationship between different people groups and bring about racial tensions of which we are all to familiar. So what are the facts? We listened to Dominic as he carefully unfolded the truth of our origins and revealed the myths of evolutionary thinking for what it is. A skilfully crafted presentation that challenged us all on the race issues and especially the question of skin colour. This was an opportunity to be fully informed on this crucial subject. A time for Q and A followed. Professor Andy Mcintosh - Thermodynamics at Leeds. The Human Body Mind and Matter. Could God have Created through Evolution? Sorry if you missed the 'ice man' tour with Mike Oard! Mike has a B.S. and M.S. degree in atmospheric science. Among other things, he was a research meteorologist at the University of Washington, then a lead forecaster with the United States National Weather Service in Montana (Western U.S.). Mike is, therefore, very well placed to teach on the above topics, quite apart from his numerous publications in the field. Two of the nearest events he attended are shown below, for a full list of dates and Mike's credentials click on the web site link. "THE ORIGIN AND PURPOSE OF BEAUTY"
Special youth meeting at BEC, but all ages welcome! The Age of the Earth and how science points to a young Earth. Our thanks to Professor Steve Taylor for his thought provoking talk on "The Age of the Earth" last Tuesday evening. Steve started with his own personal testimony before giving us his views on the scientific evidence that point to an Age of the Earth of only a few thousand years and not the billions of years as proclaimed by evulotionary scientists. He presented a very convincing argument on a number of key issues and backed this up with good solid scientific evidence, an irrefutable challenge in many areas for our evolutionist friends. Among some of the topics covered were the issues of Radiometric Dating, 14c in coal and diamonds, fossils and the recent finds of soft tissues in T-Rex Dinosaur bones that are supposed to be some 65million years old! We were also shown a short clip from a new DVD entitled "Set in Stone" using geological evidence from around the UK. This a high quality documentary style programme that looks at key issues with regards to interpreting the rock formations that support a Young Earth view, and is well worth adding to your library. So, again we thank Steve and trust that you all enjoyed the question and answer session that followed. We also thank him for his input to the on going debate that supports the Creation interpretation of the scriptures. Some of you even had a chance to talk with Steve on a one-to-one basis afterwards, and we trust that you were blessed by his commitment to the truth of this ministry.